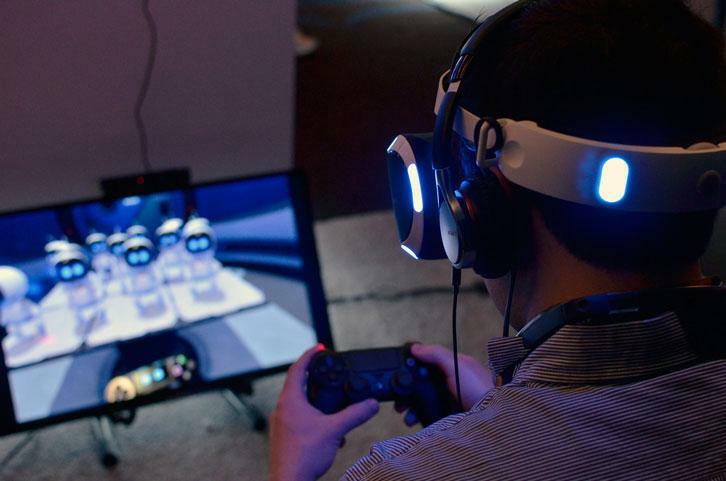 Rate this Article Sony has finally entered the competitive Virtual Reality game market by recently announcing it new VR headset kit for the PlayStation 4 aptly called PlayStation VR. Find out more! Sony has finally entered the competitive Virtual Reality game market by recently announcing it new VR headset kit for the PlayStation 4 aptly called PlayStation VR or Codename: Project Morpheus (probably no relation to Laurence Fishburne). Virtual Reality as we know it has been in development going all the way back to the 1960’s and started to make great strides in the 1980’s in research applications and in a very limited way, computer gaming. Today, virtual reality headsets and devices deliver awesome experience that places the player into a 360 degree simulated world that looks and feels so real. With the PlayStation VR headset, Sony delivers a less costly alternative to the top-end VR headsets available today. Also, as it was made to work with the PlayStation4 and acts as sort of an added and awesome accessory to the gaming console, Sony once again makes use of its market dominance to deliver new technology to its customers and product support. PlayStation VR may not be at par with the top VR headsets today but sports several advantages over the competition that makes it a more practical alternative granted you have the PS4 console to use it with. With over 46 million units sold, that’s a lot of people who can benefit from it. Let’s first look at the design. Compared to the current selection of VR headsets available today, the PS VR is said to be the most ergonomically designed of all. In short, it isn’t bulky. It comfortably fits onto your head, is comparatively light and the visor is large enough to accommodate those who wear glasses. The band adjustments are located easily within reach at the back and a quick- release button makes it a cinch to take it off. It also looks good with a futuristic appearance to it and doesn’t look like you have a box stuck to your face. The visor makes use of 5.7-inch full HD OLED (Organic Light Emitting Diode) screens with a resolution of 960 x 1080 for each eye, RGB sub pixels that help smooth out the image, a refresh rate of 120 Hz and a 100 degree field of view. There are around 9 LED lights on the headset used for movement tracking so the software will know which direction you are looking at. That way if you look back, the software will adjust and show you just that, giving you a sensation of 360 degrees within the game environment. Needless to say, the headset will need an additional PS4 camera to do just that. Think Xbox Kinect, only this time it’s the movement of your head that’s being tracked and not your whole body. Actually it’s those LEDs that are being tracked at around 1000 times per second so movement is smooth and seamless. Unfortunately, at press time the camera does not come bundled with the PS VR and will cost a little extra. However, according to Sony, there are plans to release a bundled version which may also come with the wand hand controllers (also not included). Most games though, will still be designed to work with the basic dual shock PS4 game pads as the main method of control. Despite current game consoles plug and play orientation, the PS VR does not connect directly to the PS4. The headset comes with a small interface box along with all the cables to set it up. The little black box contains all the electronics needed to act as a go-between the PS4, the VR headset and an additional HDMI television/monitor (in case somebody wants to watch you play your game on what they call a Social Screen). This external processor box doesn’t add to or enhance the basic console in any other way. What it really does is to process object based 3D audio, display the Social Screen on the external HDMI TV/monitor, separate both audio and video streams for the TV/monitor and displays the consoles system software in a cinematic way. The core processing of displaying 3D is still done within the PS4 itself. If there is one thing that the PS VR lacks it would be the internal headphones. You will have to provide one for yourself. While this may seem like a disadvantage if you come to think of it, it may not. You can always use a gaming headphone-mic set of your own choosing by the time you get to play multiplayer on-line VR FPS with your friends. Just don’t get thrown across the room when the frag hits you. Content wise, Sony has enlisted the support of around 230 development studios to come up with new software for the PS VR. They range from small independent development teams to large game studios well known for their popular AAA titles. 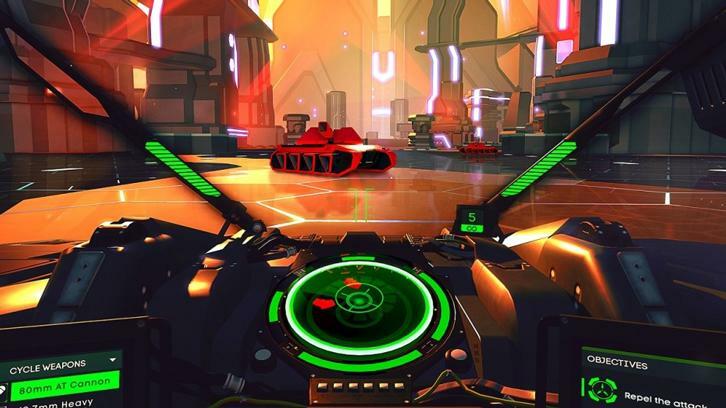 The list of up-and- coming VR game titles being readied for the PS VR launch date continues to grow. Games like Ace Combat 7, Battlezone, The Deep and Until Dawn: Rush of Blood as well as others will be in the forefront of this new gaming experience that will definitely change our perception of computer gaming in the times to come. With an announced price tag of $399.00 for the basic VR kit and around $499.00 for the planned VR kit plus camera and controller bundle, the expected release date this October 2016 is something much anticipated by a lot of gaming fans all over the world.